I know how it is normal to just start the cross stitch But I find it much easier to tack all the ten lines first before braving that first stitch. I was bored of doing cross stitch last night, or maybe it was just more in the mood for tacking but I have the next two kits all tacked up ready to go. They are good kits too. 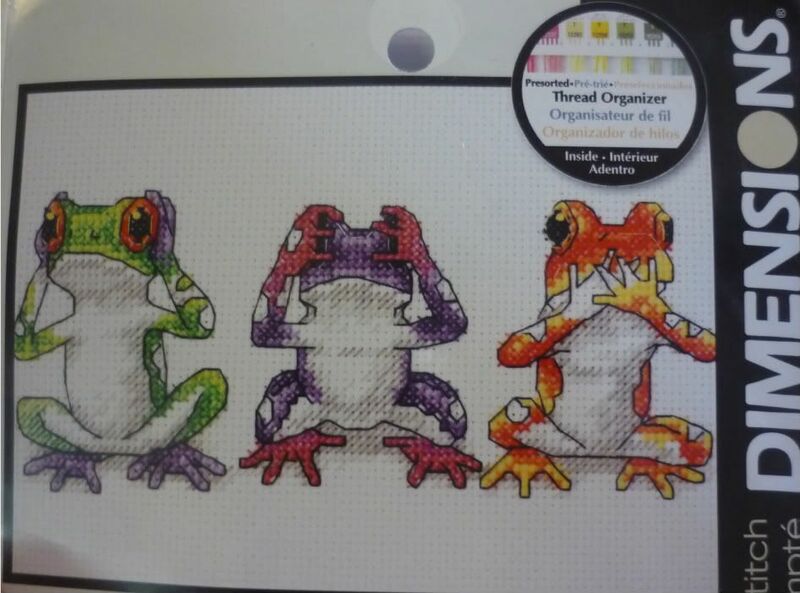 Tree frog trio by dimensions which is a see no evil, hear no evil, and speak no evil. It brings back memories of my favourite shirt (well one of them) my dad gave it to me after he came back from one of his trips. 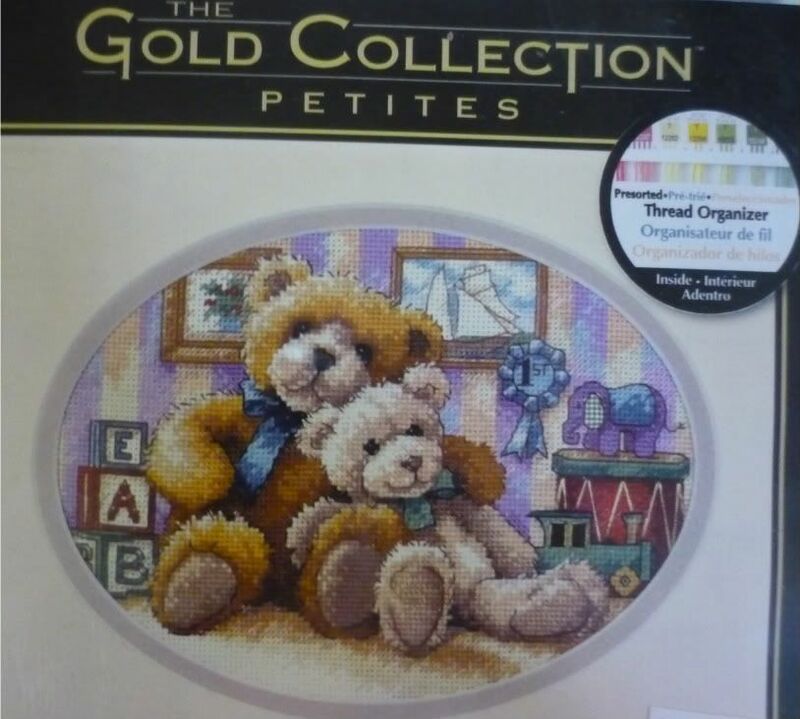 The other design is a dimensions design from the gold collection petites - warm and fuzzy. It has a gorgeous set of bears in an oval shape. I'm really not sure which one to do next, or how soon I will actually get to them but they are all tacked and overlocked around the edge so they are ready to stitch as soon as I get the time or the urge. I am trying to avoid having too many on the go at once since I also have a crochet throw that I'm doing. It's from 'The Art of Crochet' magazine so it comes 4 issues a month so I really need to keep up with it as I'm about 16 squares behind. But here is what I have done so far. Anyway back to the real world. And planning for music lessons this afternoon and next week! You are very patient to do all that tacking. I can't stand tacking. You can buy fabrics that have the ten squares printed in magic ink that disapears in water. I think I'm more likely to try that. It's nice to meet you (another cross stitching teacher, there are a few around I think). Yeah I think I get the tacking from my grandma. She tacks everything she sews. All I know is that if I didn't have tacking on my WIP I would be in a bad way because I use it to check my stitching. Yeah, I wish I had more work as a teacher but if I wasn't working with kids I can't imagine what I would be doing! 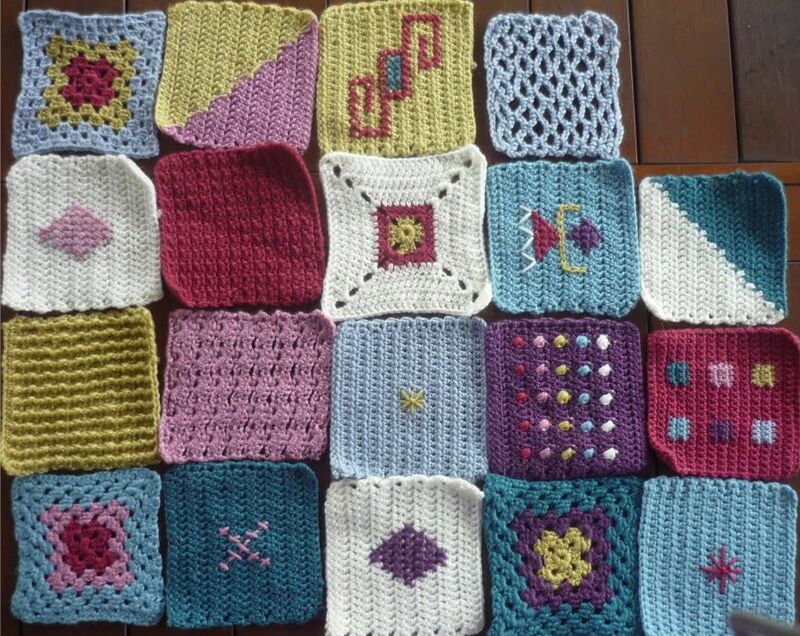 I am currently working on the art of crochet throw and also some of the projects too.